Pray that God would allow each of us to share our thoughts on God’s love for us openly, and in a safe environment. Pray that wherever we come from, however we have known love (or not known love), we would draw closer to Jesus, who IS love, and that the truth of His love would transform us. Pray that we would demonstrate agape love toward each other as we share, and that love would grow and transform us together. Pastor Steve talked about how “love can change everything.“ Talk about a time in your life when a small or large act of love or kindness by someone changed things for you. This week we will explore 1 Corinthians 13:4-7. Have you taken the time to think about God’s love for you? What have you learned about how much God loves you? How easy or difficult is it for you to embrace that truth? Over time, Christ’s love transforms us into people who love like He loves. Read 1 Corinthians 13:4-6 again, perhaps in another translation. 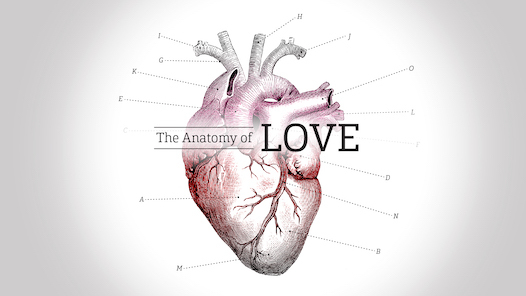 Which attribute of love is easy for you? Which is the most difficult one? Explain. Who is the person (or persons) that is hardest for you to show love? Why? Do you find that it is someone close to you, or strangers? Is it difficult for you to ask for help? Why? Is it pride - “I don’t need people or God”; or fear - “I’m afraid of what will be expected of me later”? Read 1 John 4:7. Have you experienced this in your life, either through someone showing you God’s love, or you recognizing the love you showed someone could only have come from God? Pray that knowing God’s love would change how we view others, and love them, in specific ways this week. Pray that we would notice. We would notice God loving us, seeing us. We would notice moments when we showed loved in ways we previously would not have done so. Read through one of the four gospels (Matthew, Mark, Luke or John) and find examples of how Jesus showed His love for the disciples.